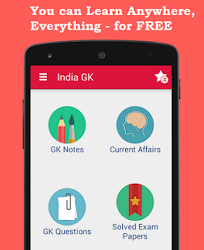 23, 24 July 2017 Current Affairs MCQs, Quiz, Questions: Current Affairs for July 2017, Daily Multiple Choice Questions (MCQs) for India GK, World GK and current affairs with Collection of daily objective type Question by www.Indiagk.net based on General Knowledge (GK) and General Science (GS) Questions for UPSC, State PSC, SSC, Police exam, Railway exam, SBI, Bank PO, IBPC, SSC, LDC, UDC, Army, Airforce, Navy, Coast Guard, Bank Clerk, TET and all entrance examination with current affairs News, Multiple Choice Questions (MCQs) available on Website www.IndiaGK.net and Android Apps with daily updates:. Brenda Marjorie Hale has been appointed as the first female President of the Supreme Court in which Country? HS Prannoy is associated with which sports? Which state government joined hands with the centre to revive the River Saraswati? Lok Sabha Speaker Sumitra Mahajan on 24th July suspends 6 MPs of which party? Udupi Ramachandra Rao passes away on 24th July. He was associated with which field? Sachin Siwach is associated with which sports?